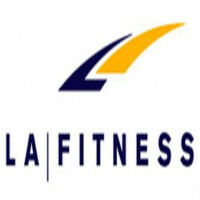 LA Fitness is one of the largest gym chains in America. It serves as a multi-purpose sports and fitness club. The company has strength and cardio facilities, free weights, locker rooms, and juice bars. Founded in 1984 by Chin Yi and Louis Welch, the company established its first location in Covina, Los Angeles, California. In the next few years, it expanded its operations by acquiring small fitness clubs across Southern California. The fitness club now operates in over 700 locations. It maintains its spot at the top of the Club Industry’s Top 100 Health Clubs in the country. The prominent gym chain promotes a good work environment. Upon hiring, gym associates and trainers can enjoy a free gym membership in addition to receiving emergency financial assistance, 401(k) retirement plan, healthcare coverage, paid time off, and bonus performance incentives. Most of its facilities tend to get overcrowded during peak hours. Nonetheless, its employees enjoy working at the fitness centers especially with management efforts to instill work-life balance while also providing motivational training programs. How old do you have to be to work at LA Fitness? The fitness club giant accepts interested applicants not lower than 18 years old in accordance to federal laws and regulations on hiring. Eligibility and qualifications may depend on respective job titles and location. The career paths you can take with LA Fitness are virtually limitless. With the company’s continually expanding operations and a progressive career development program, management is sure to prefer internal promotion instead of outsourcing management positions. Club Staff: The general duties of club staff mainly include greeting customers, answering questions on policies and services offered by the fitness club, demonstrating an excellent customer-oriented attitude, and checking membership status. The position requires data entry and direct interaction with customers. Personal Trainer: Personal Trainers are primarily responsible for creating and helping implement personalized workout programs for customers and guests. Personal Trainers are expected to serve as role models for customers and are therefore prohibited to have noticeable piercings, facial hair, and tattoos. Receptionist: Receptionists are typically stationed at the front-end area of the club and are in charge of welcoming guests to the establishment. Those given this position are responsible for receiving customers and guests and directing them to department directories and gym facilities whenever needed. Janitor: Janitorial staff are primarily responsible for maintaining the cleanliness and orderliness of the club. Janitors are expected to perform sanitation duties such as cleaning floors, washing walls, rugs, and windows, as well as keep gym equipment clean, sanitized, and ready for next use. Yoga Instructor: Yoga Instructors are generally in charge of creating lessons and planning yoga exercises both for beginners and experienced customers. Yoga Instructors are responsible for crafting yoga exercises that suit individual clientele needs while also demonstrating a fit and healthy lifestyle. Kids Club Attendant: Kids Club Attendants are given the task of creating a safe yet entertaining environment for all children staying at the Kids Club corner. They have to ensure the safety of children and maintain the inventory of all toys and club equipment. Sales Counselor: Fitness Sales Counselors are tasked with maintaining relations with patron members as well as long-time loyal customers. Sales Counselors are also given the responsibility of coming up with initiatives to increase the club’s customer base and continue growing its membership. Customer Service Representative: Customer Service Representatives work full-time and are responsible for liaising directly with customers and answering queries and concerns that might arise. Customer Service Representatives regularly relate with clients over the phone and provide assistance in both troubleshooting and receiving complaints. Fitness Manager: Fitness Managers hold the responsibility of recruiting, training, and supervising the entire staff of a given branch. Fitness Managers oversee general club operations including budget management and profitability. Fitness Managers are also in charge of directing all general workout routines, ensuring complete compliance with club standards. Maintenance Supervisor: Maintenance Supervisors coordinate maintenance and janitorial staff to maintain and repair electrical, plumbing, and ventilation. They also handle other technical needs that might arise in the gym, as well as check for possible reliability problems. Being in a supervisory role, Maintenance Supervisors can delegate tasks to janitors and other cleaning staff. Applications for entry-level job openings can be processed through the company’s own official website. Application procedures may, however, vary depending on the applicant’s desired position. Applicants can apply online via the company’s corporate website. The website features a basic job platform landing page wherein you will need to fill out a generic application form. The application can take around five to ten minutes to finish. Make sure to read the instructions before filling out the form. The application form will explore your employment information, educational background and personal details. After filling out the online application process, be sure to have your resume ready. Keep in mind that your resume must reflect only up-to-date information and should be sufficiently concise. Interview questions generally look into an applicant’s motivation to work with the company. The response time between interview appointments and final job offers can take from a few days to a few weeks. As the premier fitness and health club in the country, the company seeks to create a culture that’s focused on healthy work-life balance. It provides flexible working hour opportunities, paid time offs, and vacation leaves for its employees. The company has recently unveiled customized websites depending on the club’s location. The purpose of creating different websites for individual branches is to serve the particular needs of the community better. The gym franchise is known for maintaining its edge by sporting state-of-the-art gym equipment and facilities, and having highly trained and certified personal trainers ready to assist customers. The company is active in supporting Augie Nieto’s campaign to cure Amyotrophic Lateral Sclerosis (ALS) – a disease that leads to the death of motor neurons, eventually causing paralysis. Nieto is the founder and retired CEO of Life Fitness and current chairman of the ALS Therapy Development Institute. 1 How old do you have to be to work at LA Fitness?